Please join us for an open event to get to know the chapter. For more information please contact our chair of Membership, Bobby Sue Schriebman, at 858-673-9470 or at ashur44@san.rr.com. 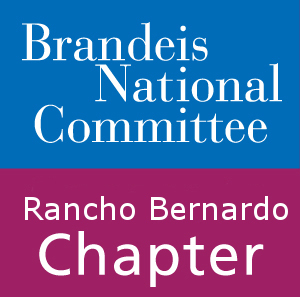 All Rights Reserved, Rancho Bernardo Chapter of the Brandeis National Committee.